Decatur, AL – June 7, 2017 – Within two months of entering into a contract to provide education services for county inmates, Huntsville-based Pinnacle Behavioral Health (PBH) graduated its first student of the program. 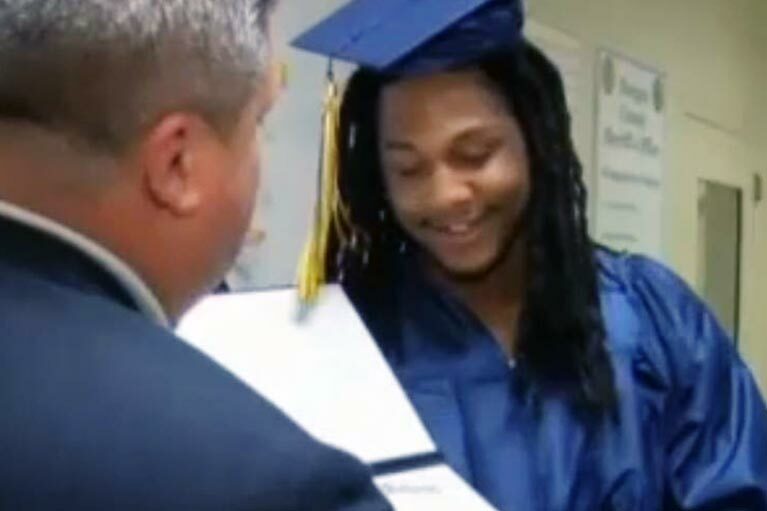 The lock-up inside a county jail has turned what could have been an end to his high school career to the beginning of a new chapter for Tobias Mitchell, who is the first Alabama high school student to earn a diploma from inside a county jail. Because of his hard work to earn his diploma and PBH’s contract with Athens City Schools, Tobias has a better chance to succeed when released. “It was really the thrive and the motivation. I know I was going through adversity, and I’ve been through a lot of things, and really what I’ve been through, what motivated me every day was just to get up and strive for better,” Tobias said after the ceremony. Pinnacle's CEO Karen Lee has a successful history of spearheading programs to address the needs of trouble youth, and she is dedicated to the concept of educating young men and women in the jail system. “An education will reduce the recidivism rate in our communities and give these young people a better chance to find employment or enter college. It’s a win-win for everyone,” she said. PBH provides therapeutic and education programs for at-risk adolescents and teenagers ages 12 to 18. The company recently expanded its education program to provide county inmates ages 14 to 21 with accredited education services. With assistance of highly qualified and state certified teachers provided by PBH, the 18-year-old inmate in Morgan County Jail was able to complete the remaining requirements for his high school diploma. It was a proud moment for this young man, surrounded by family, fellow inmates, teachers and officials of Pinnacle Behavioral Health, Athens City Schools, and the Morgan County Sheriff’s Department and Mary Scott Hunter of the Alabama Board of Education. Athens City Schools began offering the diploma program in August 2016 to inmates in county lock-up facilities throughout the state. PBH officials expect more inmates to graduate in the next few weeks.